The establishment of a central registry was passed into law and requires the Division of Family and Children Services to establish and maintain a central Child Abuse Registry (CAR) of all substantiated cases of abuse. 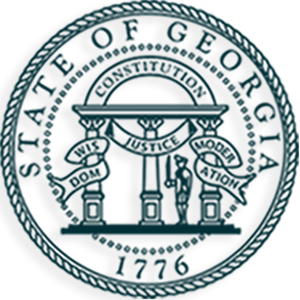 The Georgia system is known as the Child Protective Services Information System (CPSIS). How will the Child Protective Services Information System (Child Abuse Registry) work? The Division of Family and Children Services will enter the names of alleged child abusers thirteen years of age or older who have a substantiated case of child abuse on or after July 1, 2016 in the Child Protective Services Information System (Child Abuse Registry). All persons listed in the Child Protective Services Information System (Child Abuse Registry) will be notified via certified mail, along with instructions on how to appeal being listed in CPSIS. How to Know if Your Name Appears on Child Protective Services Information System – Child Abuse Registry? If an individual wishes to request a self-check, the individual must complete the Child Abuse Registry Screening Request Information form at a local Division of Family and Children Office, and present one of the following government-issued identification: Driver’s License, State ID, Passport, or Military ID. The results will be sent to the requesting individual upon completion of the request. What Notification of Inclusion on the Child Protective Services Information System – Child Abuse Registry Will Be Sent? A notification letter is mailed to the individual and includes a notification of rights. The letter also includes an Appeal Request form (for convenience) and instructions for an individual who wishes to request an appeal. The law allows for an individual to appeal his/her name being displayed in the Child Protective Services Information System (Child Abuse Registry) within 10 calendar days from receiving notice that he/she is in the registry. If the 10th day falls on a weekend or holiday, postmarked and delivered requests on the following business day will be considered timely received. What are the Impacts to Minor Child Abusers? 3. He/she can prove by a preponderance of the evidence that he/she has been rehabilitated.